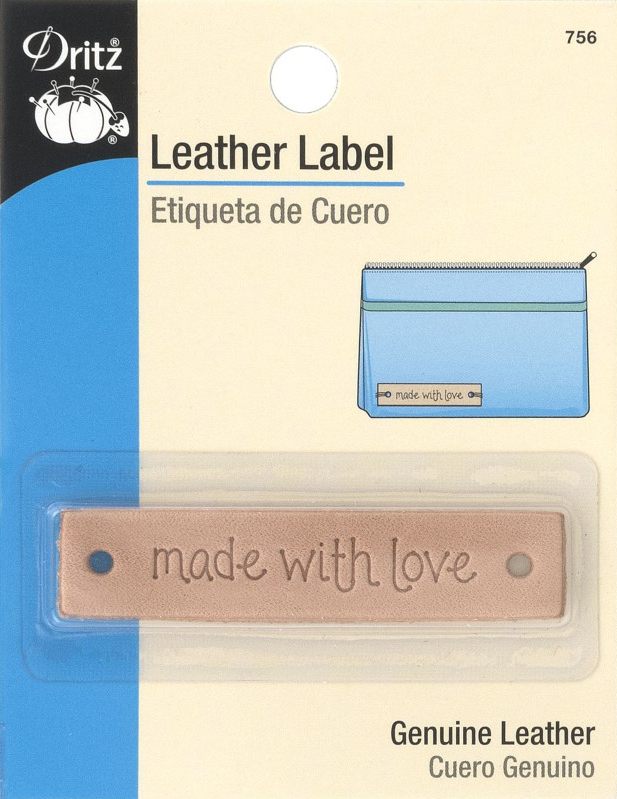 This Dritz “made with love” leather label is a decorative label for adding a personalized touch to handmade projects and gifts. Ideal for many sewing, quilting and crafts projects: bags, purses, wallets, knitted items and DIY projects. Attach with thread, floss, or rivets. Apply label directly to project. Perfect for makers who make and/or sell handmade items. Label is genuine leather.